Here's a rare opportunity to buy a beautiful private lot in Black Sands Beach. This lot is located on Lanai St. in a very quiet area of the subdivision. Lanai St. is very private with no through traffic. We also own the lot behind this one on Punai St. CLICK HERE to see our listing for the adjacent lot. Black Sand Beach is a great neighborhood with no building restrictions, maintained roads, internet, cable, telephone, overhead electric. Excellent place to build your own private oasis here. Black Sands Beach subdivision has a very laid back island lifestyle vibe big island is famous for. This lot is very lush with lots of ferns, grasses and some orchids. Some of the best weather on the entire island is right here! Tons of sunshine and just enough rain to make your garden flourish. 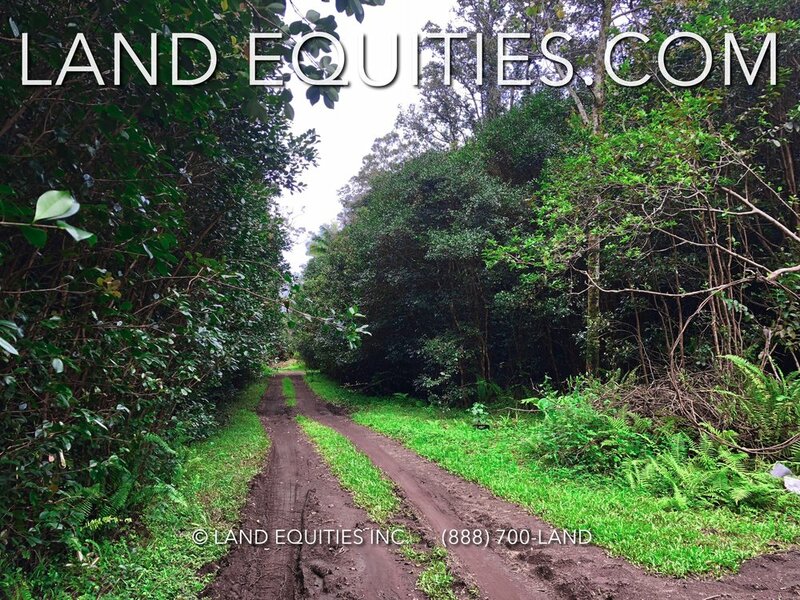 The lot behind this on e on Puna St. is available in our other listing. Parcel Size: .18 acre 7,750 sq ft.
Black Sands Beach is a great family neighborhood. It is very well maintained with a swimming pool, park, sports field and community center. Power is supplied to each lot as part of the community as well as mail delivery. Water comes from their private system or rain catchment and a septic system needs to be installed only if you build. There are many nice homes currently in the community with plenty of open space giving it a very natural and private feeling. The weather at Black Sands Beach is a very unique micro-climate and is literally the best of all worlds. Because the trade winds come from the east much of the east side of the island gets quite a bit of rain. Hilo, in fact, is one of the rainiest cities in the USA. This small micro-climate gets less rainfall than other parts of East Hawaii. The result is plenty of rain (mostly at night) to keep things lush and green and to keep your catchment tanks full, but plenty of bright and sunny pleasure full days. The true definition of paradise!